Camps will be held in the UNIWYO Sports Complex, home of the Wyoming Cowgirl Volleyball Team. Additional courts will be held in neighboring WYO Athletics facilities. You do not have to travel across town to different facilities for our Team Camp! Where are the overnight campers housed? All resident campers for the 2019 Skills, Elite, and Team Training Camps will be house in one of our residence halls. All on-campus dormitories are a short walk to the gyms, cafeteria, and other facilities. Specific dorms will be emailed 15 days prior to camp. What medical forms does my child need to bring to registration? All waivers and medical information must be filled out within the 2019 Univ. of Wyoming Minors Policy document that will be emailed to you 30 days prior to your camp. Once you have filled out this document in its entirety, please mail to Wyoming Cowgirl Volleyball (provide rest of address) or email to volleyball@uwyo.edu. The document can also be turned in during the check-in process on the first day of camp. Please note, if you complete this document and send it via mail/email ahead of the camp the registration process will run more efficiently. All documents within the 2019 Univ. of Wyoming Minors Policy must be completed prior to participation in any camp. Only if they would like to purchase items from the camp store (tshirts, sweatshirts, logo volleyballs, etc). Late night pizza, snacks, and drinks will also be available. Where do campers check in? Check-in information will be emailed to all registrants 15 days prior to camp start date. Can my daughter request a roommate? Is there a refund policy for Individual Camps? 1. If you cancel 15-30 days from camp = partial refund (the $ for dorm and meal reservations is retained). 2. If you cancel within 14 days of camp = no refund. Is there a deposit required to reserve a spot in the Team Training Camp? Yes, a $250 deposit is due by June 13th, 2018. No deposits will be refunded after this date. All meals will be served in the university dining hall (Washakie Dining Center) in between camp sessions. This dining center is conveniently located in walking distance from our camp dormitories. 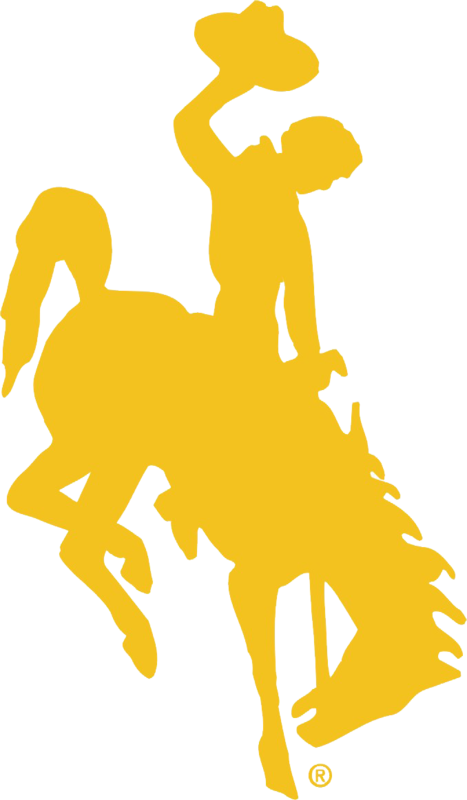 Yes, the University of Wyoming will be providing a certified athletic trainer that will oversee the camp and be available before, during, and after camp sessions. Any camper with special medical needs should make those clear in the “Medical History or Medications” section of their online registration form. What are the directions to the gym and where can I park? If you would like to come watch your child participate in the camp we recommend parking in the Ford Lot on the northwest corner of 22nd and Grand Ave. This giant parking lot is east of War Memorial Football stadium and walking distance from all volleyball facilities. Parking for check-in and check-out will be advised in an informational email the week before your camp starts. If my daughter flies into Laramie Regional Airport, is there transportation available to the University of Wyoming Campus? Yes, transportation from the Laramie Regional Airport is included in your registration cost and is available to all campers. Please contact Coach Kindra (307-766-4805) for arrangements. If my daughter flies into Denver International Airport to attend Camp, what is the easiest way for her to get to Laramie, Wyoming? A: Ground transportation from Denver International Airport to Laramie, Wyoming is very simple. We recommend visiting a shuttle service called Green Ride (www.greenrideco.com). They offer one-way and round trip shuttle service from Laramie all the way to DIA on a frequent daily schedule. I lost my forms, where can I get new ones?